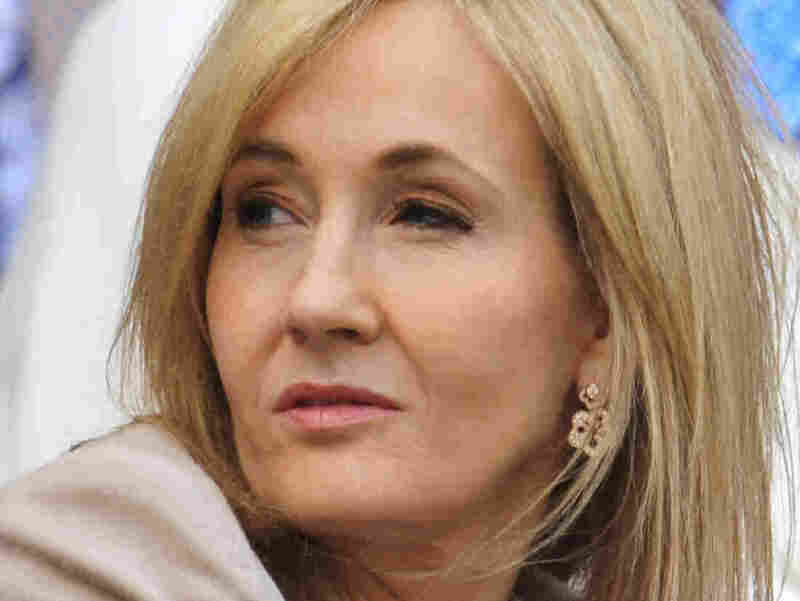 'Harry Potter' Author Conjures Pseudonym For Debut Crime Novel : The Two-Way When J.K. Rowling published The Cuckoo's Calling, her first post-Potter book, she decided to go by the name Robert Galbraith. British author J.K. Rowling pictured at the 2013 Wimbledon Championships tennis tournament in June. Amazon describes Robert Galbraith's best-selling novel, The Cuckoo's Calling, as "a brilliant debut mystery in a classic vein." But as brilliant and classically inclined as it might be, the real mystery until now has been all about the author. It turns out that Robert Galbraith is the nom de plume of none other than J.K. Rowling, the famous creator of the phenomenally successful Harry Potter books. "Being Robert Galbraith has been such a liberating experience," she told the U.K.-based newspaper. "It has been wonderful to publish without hype and expectation and pure pleasure to get feedback under a different name." The 450-page book tells the story of protagonist Cormoran Strike, an Afghan War veteran turned private investigator who investigates the suspicious death of a supermodel. Publisher's Weekly calls it "a stellar debut" and Mike Cooper, who wrote the Shamus Award-winning Clawback, said The Cuckoo's Calling is "a riveting read from an author to watch." "After several years with the Royal Military Police, Robert Galbraith was attached to the SIB (Special Investigative Branch), the plain-clothes branch of the RMP. He left the military in 2003 and has been working since then in the civilian security industry. The idea for Cormoran Strike grew directly out of his own experiences and those of his military friends who returned to the civilian world. 'Robert Galbraith' is a pseudonym."